This is the next instalment in the ‘Our People’ series of blogs, a series that reveals how members of our team started out and progressed at the firm. In this blog, we will be focussing on one of the Directors of Aston Shaw, Adam Hook. Adam grew up near Deal, in Kent. After leaving school, Adam started a job at a pre-packed salad factory. This wasn’t Adam’s favourite job to say the least and left not long after to work at the now defunct supermarket, Somerfield. Following this job, Adam moved onto working at Hoverspeed, a ferry company (whose fate was to become Norfolkline before integrating with DFDS Seaways). At the age of 23, Adam left his home and job in Kent for the Victorian seaside village of Mundesley. Adam’s next job brought him very close to Aston Shaw indeed as he worked for Royal Mail in the sorting office right opposite our old office on Thorpe Road, Norwich. It was at this point that Adam first heard about Aston Shaw and the rest as they say, is history. 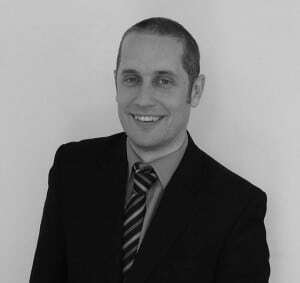 In 2006, Adam started as a Trainee at Aston Shaw and quickly discovered an acute aptitude for accountancy. Adam’s skills quickly advanced and in 2010, he became ACCA qualified. Shortly after this in 2011, Adam was tasked with heading up the newly acquired Dereham office, a task he carried out flawlessly. As a result of Adam’s hard work and talent as an Accountant, Adam was promoted to Director in 2015. To recap, that means Adam went from a Trainee to a Director in just 9 years! This rapid progression isn’t so different from that of fellow Directors Lee Stratton and Daniel Overton. Today, Adam advises and supports clients across a broad range of sectors at both our Norwich and Dereham office. Adam is the resident expert for the agricultural industry at Aston Shaw, which is without a doubt one of the key sectors in East Anglia, he therefore provides an invaluable service to many of our clients. If you would like to get Adam to help your business become more profitable and tax efficient, the simply get in touch.